Hello, Friends! Welcome to the world of the Friendliest Friends - six Maltese puppies on a mission to be the Best. Dogs. Ever! Inspired by the real-life SACCONEJOLY family, this children's picture book is packed full of fun, adventure and mischief. Emilia wants something that only a girl with six dogs would want - a cat! Her six dogs make it their mission to help, and they attempt to cat-nap a local moggy. But no matter how hard they try, they are foiled by cunning cats... How will the Friendliest Friends help Emilia get her wish? 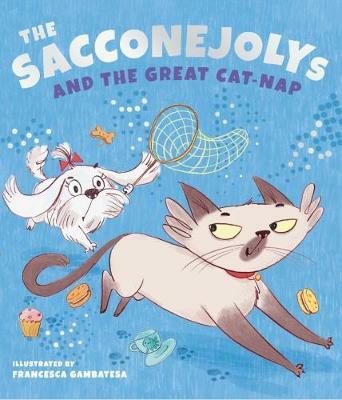 Inspired by the real-life SACCONEJOLY family, this children's picture book is packed full of fun, adventure and mischief. Emilia wants something that only a girl with six dogs would want - a cat! Her six dogs make it their mission to help, and they attempt to cat-nap a local moggy. But no matter how hard they try, they are foiled by cunning cats... How will the Friendliest Friends help Emilia get her wish?